Well, I have some ideas for you. Let’s start with the basics. Special thanks goes out to the good people at the Nonprofit Finance Fund (Antony, Kristin, Rodney!) whose report “Change Capital in Action” I’m about to shamelessly cadge. There’s this lovely little chart on page 6 that lays out various types of capital nonprofits tend to access. Now, bear in mind that we’re not talking about the holy trinity of income streams for most nonprofits (grants, contracts, and earned revenues) – what we’re talking about here are the range of investment capital foodstuffs the sector typically uses to do things like cover cash flow, clean up a mess, and develop new infrastructure. These aren’t exactly stages of capital, but they do relate to each other and have sequential applications. We’ll come back to this in my next post. Is there an earned revenue stream from fees, sales or contracts that I can use to pay this back at some point in the future? Is there a take out source such as another piece of financing that will repay the first lender in due course? Are there operating efficiencies I can achieve through this investment that will yield costs savings substantial enough to return principal? 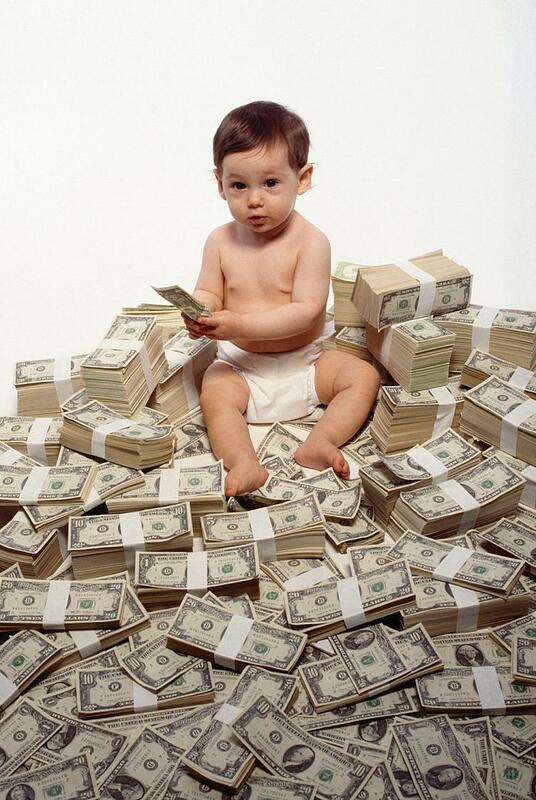 Babies with money. Who doesn’t like babies with money? So, are you developing an alternative health care treatment plan that managed care will contract you to provide? Or a fee-based property management business that also provides social services supports in buildings with high concentrations of the elderly? Or purchasing a hunk of land that you will eventually build a community center on? Or investing in a new, integrated data management and accounting system that streamlines your operations? Any of these might be a candidate for social impact capital. You just need to know how to structure it – another thing I will talk about in my next post. Any time we invest we affect the world around us, and the real question is how much good is generated by our investment, and for whom? We need to look beyond the artificial distinction between traditional commercial capital and social impact capital to see how all forms of investment must work side-by-side, particularly if we are to succeed in addressing the world’s most challenging problems. It’s party time in the world of social impact investing: but it’s a potluck. In your own organization, you need to look at your strategies and plans, including how you intend to use the various forms of capital to achieve your objectives, and find ways to draw new linkages between your existing capital plans. What does that mean? Oh, great question! You are smart! But I’m going to talk about that in my next post. That next post is sounding better and better all the time, right? So, yes, it’s party time in the world of social impact investing. But it’s a potluck my friends, and you’d better know what dish your bringing. Stay tuned. This entry was posted in Change Capital, Community Development, Corporate Social Responsibility, Impact Investing, Nonprofit, Nonprofit Management, Philanthropy, Social Impact, Social Impact Investment and tagged Change Capital, Community Development, Economy, Impact Investing, Management Best Practices, Nonprofit Management, Philanthropy, Social Impact, Social Impact Investing, Social Innovation by Michael Hickey. Bookmark the permalink.